ABA TECHSHOW 2007 is over. Congratulations to my friend TECHSHOW chair Dan Pinnington and the TECHSHOW Planning Board (and the great faculty) for another superb event. I’m far from unbiased, but TECHSHOW is my favorite annual event and this year’s edition was one of the best I’ve attended. Both the speakers and the attendees were well versed in legal technology and eager to share their knowledge. As usual, there was good chemistry between the speakers and the attendees. A Taste of Techshow featured pairs of speakers hosting small dinner gatherings which led to an even more collegial atmosphere. See Adriana Linares’s list of the dinners. 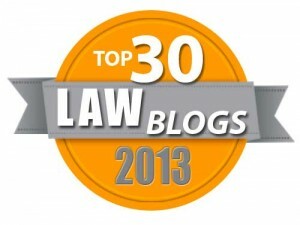 Electronic discovery and electronic evidence management remain as the hottest of topics. Some law firms sent several lawyers to these sessions. Judge Shira A. Scheindlin of the United States District Court for the Southern District of New York, author of the Zubulake opinions, gave an impressive and engaging keynote address about ED issues. Her remarks will be available as a podcast from the TS website soon. Tips programs are hot. There were four different 60 Tips sessions and a Best of the Tips session. The last session was still packed, even at the end of a long day. These Tips programs are popular everywhere. I think it is because attendees always get a tip or two that they can put to use immediately. I think there’s a lesson for law firm trainers and IT departments here. The minimum training session need not be an hour or 50 minutes. Ten or fifteen minutes of training before or after a staff meeting may have more impact in terms of what is retained and used. Adobe Acrobat 8 Professional is hot. Several sessions on various aspects of Adobe were well attended. Adobe’s Rick Borstein spoke to a standing room only group. For fun and education, the 2007 60 Sites in 60 Minutes list is now online! If you wait a week to comment, then you can link to lots of blog posts and articles from others. 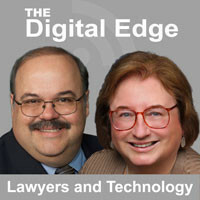 Brett Burney did a great TECHSHOW round up for law.com. A must read! Dan Pinnington posted post-show comments on the TS blog. Kevin O’Keefe didn’t attend, but noted the lack of live blogging from TS and got Bob Ambrogi to agree. I’ll stay with Bob’s former position that sometimes there are more important things to do at TS than blog. I have done some live blogging from TS before, but this year I was too busy. I didn’t get to spend all the time I wanted at the vendor’s floor this year. I did note one blog post from a speaker during his time at the podium and one first post for a new blog live from TS. Nerino Petro liked my tip about what to do with the TS materials CD. Read this carefully. It could be big for a few of you. Matt Homann posted his Web 2.0 TS materials in a Google Doc. Kevin Thompson only attended one day of TS, but gave an extensive review. Among the new people I met at TS this year was Dominic Jaar, who writes the Wines and Information Management Blog. (Only one of those during working hours, please.) He reported on the presentation Laura Calloway and I gave on speech recognition software and several other presentations. He was a first time attendee and I’m confident he will be back. Here’s one lawyer’s booth-by-booth trek through the TS Exhibit Hall. But ABA TECHSHOW 2008 will be bigger and better than ever, maybe the best ever. It starts with a better hotel. Mark your calendar now for March 13 -15, 2008 at the Chicago Hilton. But even more significant is that Tom Mighell has been named ABA TECHSHOW 2008 chair and so we know that it will be a great show! (No pressure, Tom.) Congratulations to Tom.